It would have been unthinkable before, but I have a circle of companions. We even have a jokey motto: “life is change.” A feeding doesn’t pass without one of the group uttering it, eliciting knowing smiles, the occasional laugh. Our children and theirs share in our humor, but the joke lies in our generation’s history. Our earliest memories of life are pregnant with change. From egg to adulthood, we pass through five stages of growth. Our first eight weeks consist only of feeding and molting. Back then, life was change. But for me and many of my kind, change consisted only of that, only of the molt and eventually that glorious passage into adulthood. After that, the days passed in a constant dance of mating and egg laying. In those days, I experienced my day-to-day transformations alone. They were, after all, personal. There were plenty of opportunities for mating, of course. But these were always the product of random encounters—a sudden awareness of another, anticipation and that sharp pain I’d come to enjoy as males would probe and then pierce my abdomen. But these mating partners and all who shared my harborage were strangers. I took pleasure in the routine transformations that my body would undergo: the wound management, the egg laying. But no sense of togetherness was required to ensure that life’s “changes” could proceed unchanging. Life was change and we all experienced it alone. I was particularly privileged. I had never left the nest I hatched into. I never had to. Back then, the conditions of my life were blissfully constant. My feedings so routine I took them for granted. My life played out in the sheltered confines of a third floor wing in what I would later come to know as 664 West 46th Street. Not all life for my kind back then was as comfortable. Others tell of nests made suddenly inhospitable by strange smells. Or illnesses that came on quickly, killing some, and requiring others to evacuate. Like our lives now, these stories tell of a collective resilience. But I dislike hearing them—I still cling to those halcyon days before everything changed. I remember those first discordant notes of the change in vivid detail. On the surface, it seemed that nothing had changed: I was still residing in the same comforting harborage. I struck out each night into the same nest. But I’d find nothing there but an absence. So I waited. Waited for the blood source that had long sustained me to return. It was the only other body that I knew in any lasting way. As days turned into weeks, its absence awakened things in me that I had never felt before—not only hunger, but a sense of aloneness. I felt betrayed, abandoned. It would be several weeks more until I would finally face the truth and stumble through the floorboards to find another body. By then, I had changed, hardened. I vowed never to grow so attached to a single blood source. My resolve, in the end, made little difference: it wasn’t long before the experience repeated itself. And repeated itself again. Each time, I’d awaken to find my nest intact, but hollow. The heartbreak never returned. But my hunger grew. I fed sporadically. Mating encounters became rare. Egg layings even rarer. Eventually, I had to leave West 46th Street altogether. It was then that I found others living the same precarious experience. We began to travel together, nomadic blood seekers in a land that was once so plentiful, so well-suited to our lives. We encountered other groups, just as recently formed. With some, we’d join together, moving apart when the groups grew too large to manage or we could no longer agree on a foraging strategy. Other groups were hostile, hardened by scarcity and protective of blood sources too precious to share. For a brief period, my group joined another and we all experienced a respite from constant movement. We had stumbled on a nest that hosted a handful of blood sources and settled in quickly. It felt almost like old times. But, like us, the bodies we relied on had become unsettled, changed. They moved the location of their nests every couple of nights. Intentionally or not, they carried us with them and we were grateful. But like much of the blood we found in those days, theirs’ was not as satisfying as the blood we remembered. Something—a subtle smell and taste—was off. Because we saw ourselves in them, we couldn’t help but wonder: how much had we changed? Did the change only reconfigure our daily habits? Or had we also been transformed, inside as well as out? Would we too have tasted different? Were we the same bodies that we had been before? We woke one night to find the nests still occupied, but the blood undrinkable. Some of it had been poured outside of the bodies, hardened on the ground. We wondered what could be so wasteful, but quickly abandoned speculation for strategy. We had to keep moving, keep changing. After that, we found only two more of our accustomed blood sources before we would find no more. Those delightfully plump, naked bodies had grown too few to rely on. Our feedings would have to take place on other bodies, would have to consist of other blood. That marked our biggest change yet. We had two choices: to move downward, into the sewers, or up into sky. It was an easy decision in the end, but not without consequences. Food was harder to access on our new blood bodies—they weren’t naked, but covered with what we’ve been told are “feathers.” The blood was foul. The nests, fouler still. And these clung to the edges of buildings, leaving us exposed to wind and rain. Occasionally, we would find ourselves mid-air, clinging to our blood source for dear life as it flapped across the sky. Eventually—thankfully, in the end—their numbers diminished as well. It seemed that they too had lived on the excesses of our old blood source. So, when we could no longer regularly feed on feathered bodies, we climbed higher still. There, we found blood that nests inside during the day and takes flight at night. And, so, we changed again. Now, we feed in the light of the day and rest after sundown. We still risk finding ourselves in the air, clinging to fur, terrified. But the blood is delicious and the nests are warm. Of course, we worried at first that this source would also abandon us–that the only life left might be found deep in the sewers. But these bodies seem to be only growing in number. We are relieved, but remain wary. Some of my companions lament that we’ve retrogressed as a species–that we once sucked life from the pinnacle of civilization, but now feed buried in the fur of creatures only twenty times our size. There is no doubt that now we live closer to death. And I still wake some mornings with dreams of that nest on West 46th Street still fresh in my mind. But amid the precarity, I cherish my circle of companions and our brood. We are often laughing. About the absurdities of life, its changes, and the occasional death-defying flight. In the evenings after feeding we gather to watch the sun set on this thing that they once called a city. The views from our nests are incredible. 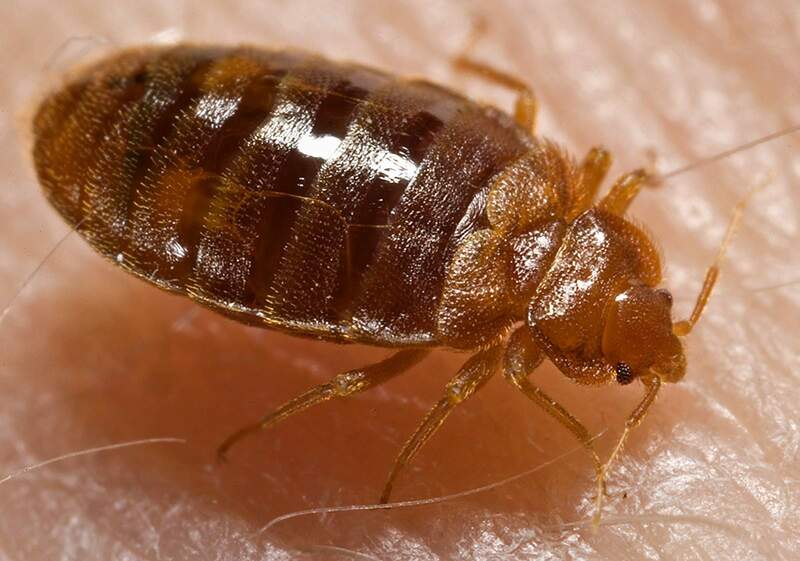 For more information on the lives of bedbugs, see Reinhardt, Klaus and Michael T. Siva-Jothy (2007) Biology of the Bed Bugs (Cimicidae), Annual Review of Entomology, 52: 351–74. Available online at http://www.annualreviews.org/doi/pdf/10.1146/annurev.ento.52.040306.133913. I want to thank Stefanie and Nicholas for inviting this piece as well as Nigel Clark, Rory Rowan, and Stephanie Wakefield for a (unknowingly) shaping its direction. This entry was posted in 3-1, City, Decay, Disaster, Health and tagged Apocalypse, Bed Bugs, Molting, Post-Apocalypse, sucked life from the pinnacle of civilization by e1izabethrjohnson. Bookmark the permalink. “sucked life from the pinnacle of civilization” … amazing. “Those delightfully plump, naked bodies had grown too few to rely on” … this has shifted my perspective. I am starting to think of lonely dogs unable to fend for themselves or house cats locked in doors during rapture. Their confusion about the dead bodies and horror over the undrinkable blood was my favorite part. This is a beautiful example of careful anthropomorphizing–the plight of the human and its co-evolved species. I imagine lice would have a very rough time of it, right?